Gus Schumacher and Hunter Wonders delivered statements for Team Alaska on the final day of the U.S. 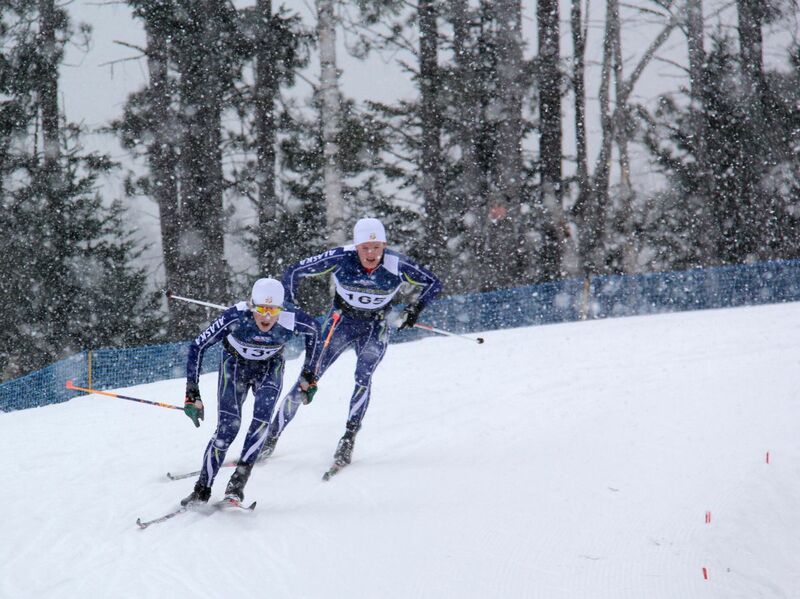 Junior National cross-country ski championships in Lake Placid, New York. Alaska won medals in three of the Saturday's six relays — gold, silver and bronze — to finish the week-long race series with 10 individual medals and three relay medals. Schumacher, skiing the anchor leg for the Under-18 boys relay team, had such a big lead as he neared the finish line he was able to grab an Alaska flag from a spectator and carry it for the final 50 meters of the race. He and teammates Luke Jager and Canyon Tobin claimed first place with a 7.5-second margin over New England. They combined for a time of 21 minutes, 42.9 seconds in the 3×3-kilometer race — the fastest relay time of the day. In the Under 20 boys race, Wonders lifted Alaska to the silver medal with a blistering anchor leg. He passed three or four teams and was still gaining on the gold-medal New England team when he hit the finish line in second place, 1.5 seconds behind the winning time of 21:53.1. Joining Wonders on the podium were Tracen Knopp and Logan Mowry. The Under 16 boys team of Eli Hermanson, Zanden McMullen and George Cvancara claimed the bronze medal in a time of 23:05.1. The group was 1.1 seconds out of second place and 4.7 out of first place. Schumacher, Wonders, Jager and Cvancara all collected individual medals earlier in the week. Schumacher, a Service High skier who trains with the Alaska Winter Stars, won a medal in all four races — three golds and one silver — to emerge as the top U18 racer at the championships. He took gold in the 10K freestyle, the classic sprint and the relay and won silver in the 10K classic. 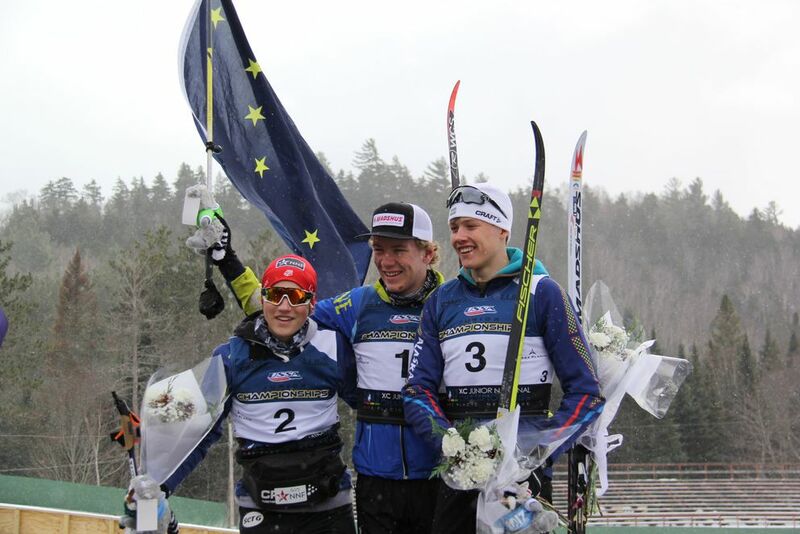 Wonders, a South High skier who trains with the Alaska Pacific University Nordic program, won three medals in four races for U20 boys. He won Friday's 15K classic race, was second in Monday's 10K — missing gold by one-tenth of a second — and added another silver in the relay race. He placed sixth in Wednesday's sprint. Jager, who skis for West High and APU, picked up a complete set of medals — gold in the relay, silver in the 10K freestyle and bronze in the 10K classic. 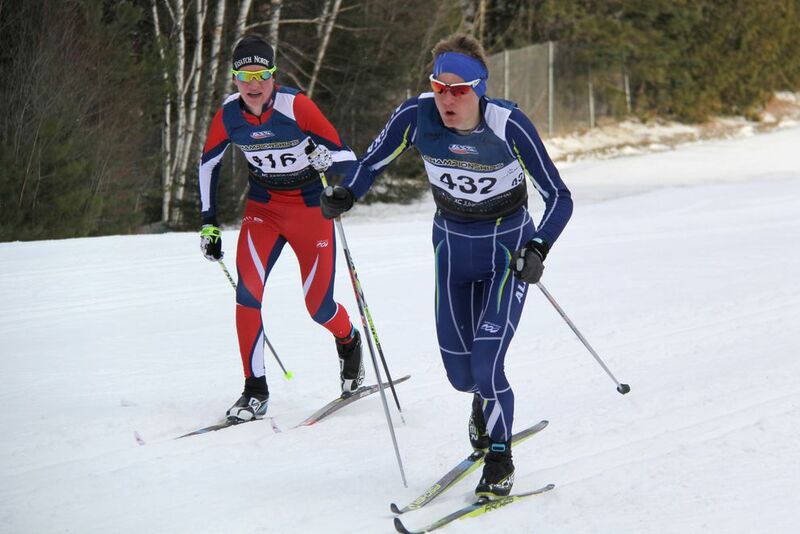 Cvancara, a Dimond skier who trains with Alaska Nordic Racing, won his individual medal by placing second in Friday's 5K classic for U16 boys. Alaska's other individual medals came from Molly Gellert of Anchorage, who won Monday's girls U18 freestyle race, and Kendall Kramer of Fairbanks, who placed second in Friday's girls U16 classic race. Team Alaska finished third in the Alaska Cup team standings with 984 points, trailing the New England division (1,352) and the Intermountain/Northern division (1,054). — The U20 girls team of Anna Darnell, Heidi Booger and Maggie York placed fourth, 25 seconds behind the third-place team. 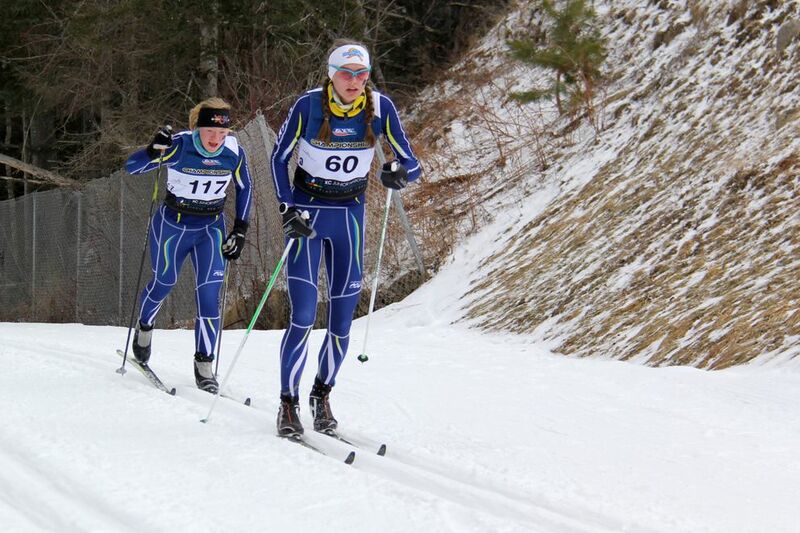 — The U18 girls team of Gellert, Jenna DiFolco and Emma Nelson placed fourth, nine seconds away from a podium finish. — The U16 girls team of Kramer, Helen Wilson and Maggie Druckenmiller placed sixth, 16.7 seconds out of third place and 3.4 seconds ahead of the seventh-place Alaska team of Annika Hanestad, Emma Sees and Adrianna Proffitt.